At the Mogao Grottoes in Dunhuang, dramatically situated in a stark desert landscape in northwest China, 500 decorated cave temples excavated into a cliff face are filled with spectacular wall paintings and sculpture. 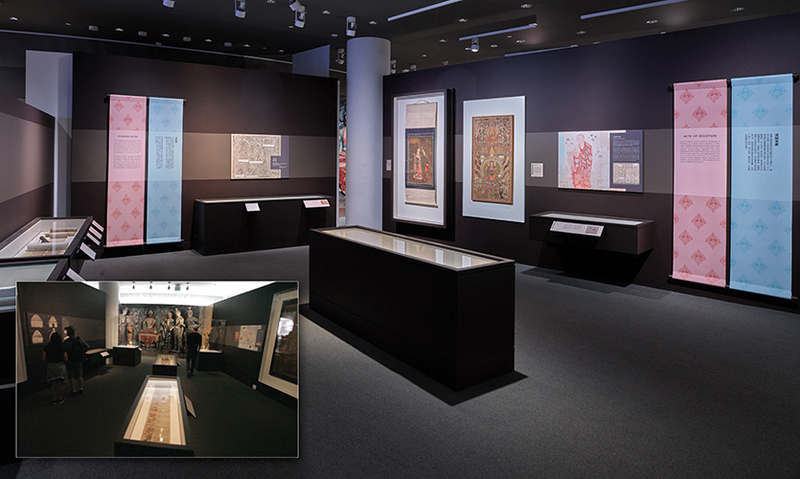 The art in situ comprises the only complete artistic environment to survive from early medieval China. The Cave Temples of Dunhuang: Buddhist Art on China’s Silk Road exhibition explored the significance of Dunhuang, especially the decorated cave temples, and highlighted the nearly thirty years of collaboration between the Getty Conservation Institute and the Dunhuang Academy to conserve and protect the historic site. 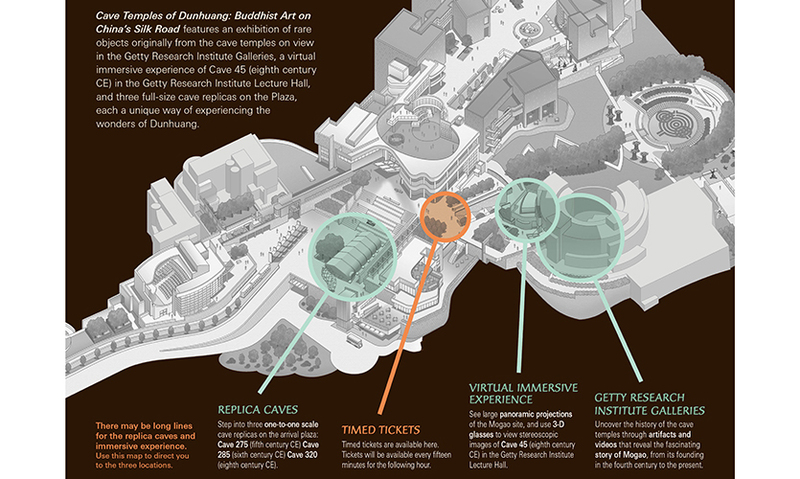 The Getty Center arrival plaza housed three full-size replica caves providing visitors with a deeper understanding of the Mogao site and the scale of the cave temples there. The replica caves, accurate in all detail, were hand painted using traditional pigments and scaled to original sizes. 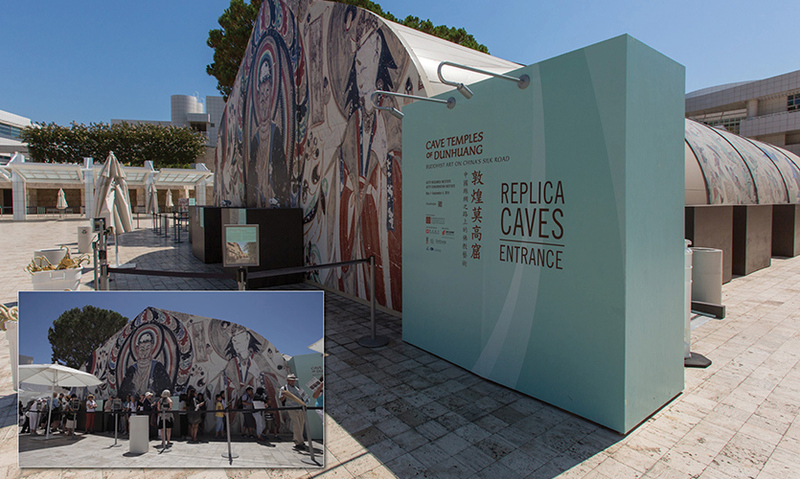 The experience of the Replica Caves centered on creating an appreciation for the wall painting while creating a spiritual and introspective space reminiscent of the actual caves. 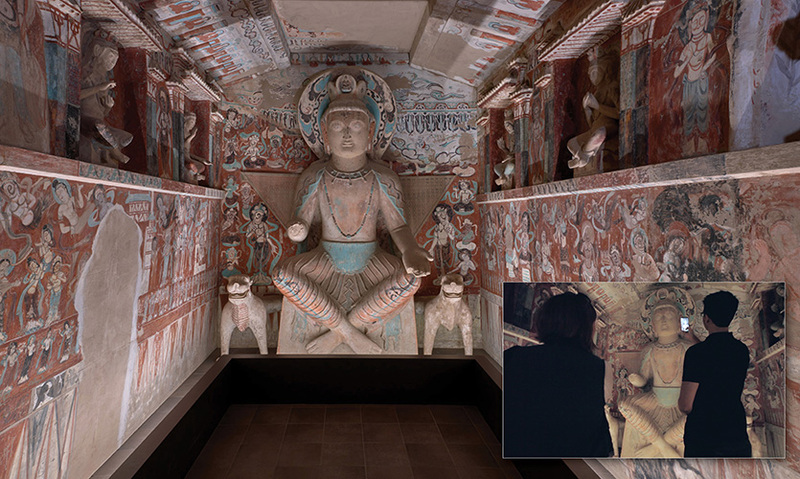 The Design Team decided to forgo any didactic or informational panels within the caves in order to replicate the experience of being at Mogao. 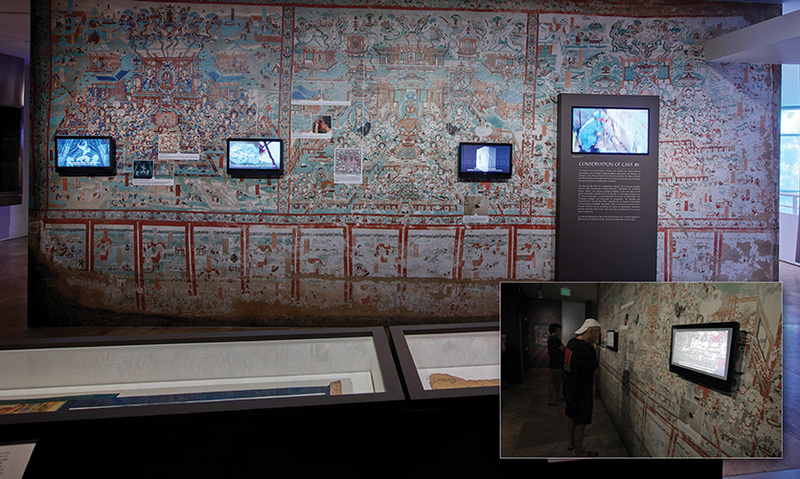 The exhibition in the Getty Research Institute galleries included 43 manuscripts, paintings on silk, embroideries, preparatory sketches, and ritual diagrams, objects that have rarely, if ever, traveled to the United States. 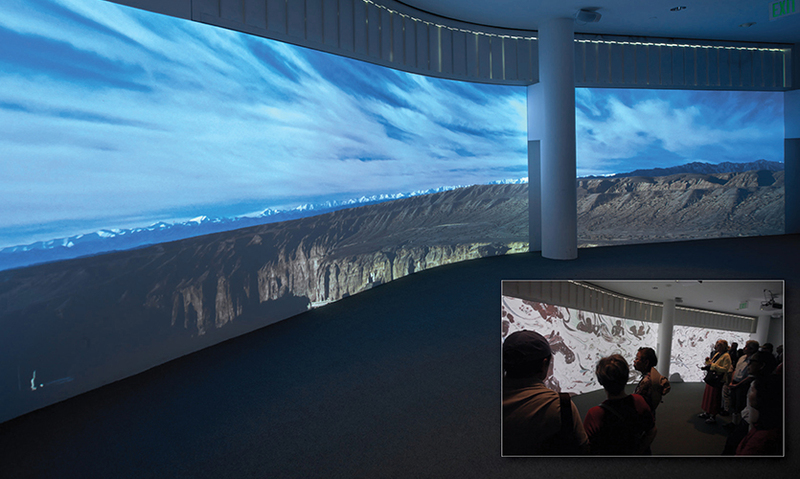 The GRI Lecture Hall was transformed into an Immersive Experience showcasing a 3D stereoscopic immersive technology never before used in a museum exhibition. 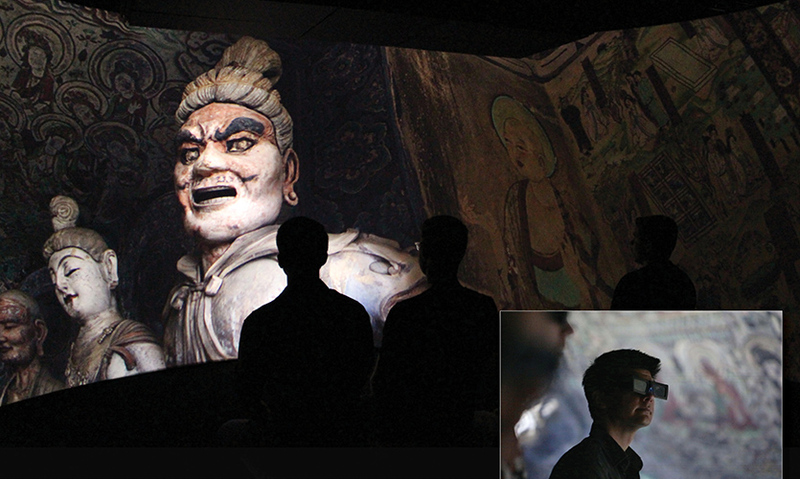 Visitors were able to experience in detail the magnificent sculpture and painting of Cave 45, which exemplifies the brilliance of Chinese art of the High Tang period. 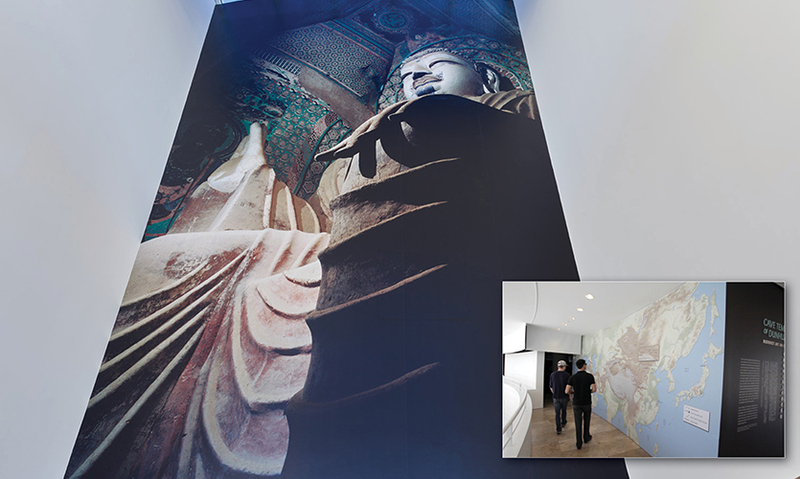 The design of the Immersive Experience centered on recreating the experience of having an actual Mogao Grottoes guide walk the visitor through the history and iconography of Cave 45.